Borago officinalis has beautiful borage flowers and leaves are edible. The flower is a unique blue-pink 5 pointed star. 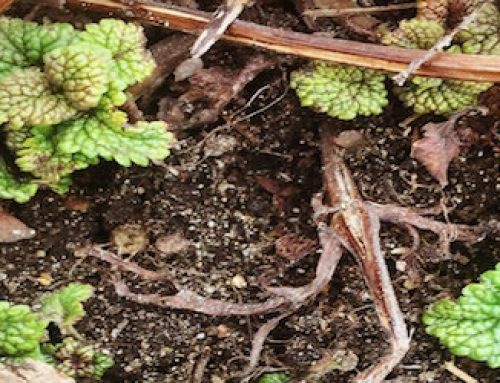 These plants can be the star of the garden. Once they start to bloom, they just keep going until frost. Keep the flowers picked, unless you would like a few volunteer plants next year. The flowers are mild in flavor. 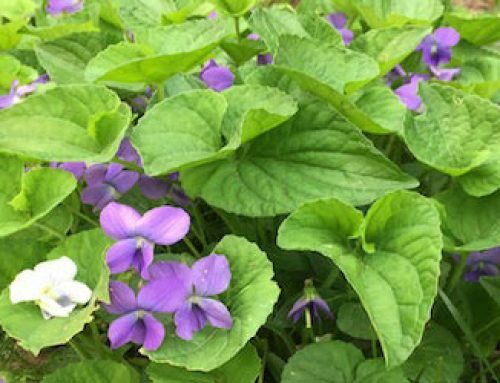 The young leaves and flowers add a mild cucumber flavor to salads and drinks. Larger leaves can be added to soups or mixed with other greens to sauté together for some refreshing cooked greens. 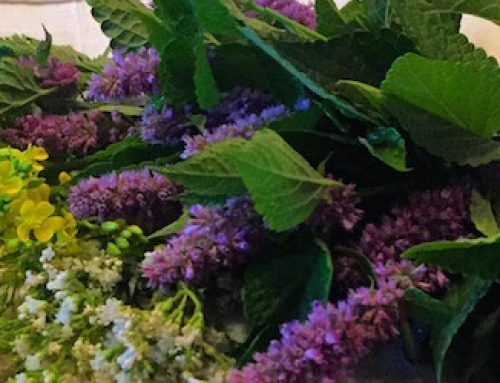 The flowers mixed in with a fresh lemonade can bring cheer on a hot summer day. Although not used medically very much in modern times, four hundred years ago or so it was prescribed for melancholy. Culpepper writes in his 1649, The Complete Herbal, “ The leaves, flowers and seeds are good to repel pensiveness and melancholy.”. The Greek proverb, “I, Borage, bring always gladness. Some translate it as, “I, Borage, bring always courage.” Pliny called borage a euphrosinum, a plant that cheers. 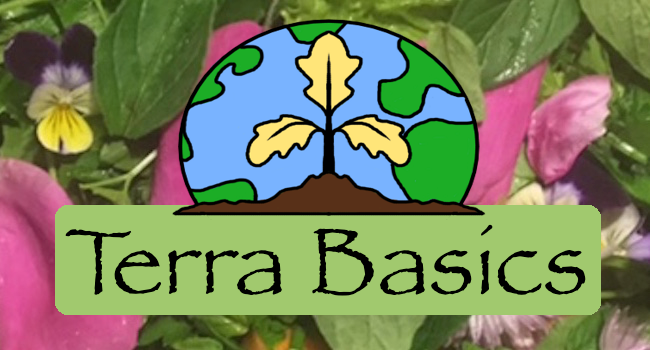 Borage is packed with nutrients. According to the USDA Nutritional data (https://nutritiondata.self.com) a cup of borage contains 75% of the daily value needed for Vitamin A. It is also a very good source for Thiamin, Vitamin B6 and Folate, and a very good source of Vitamin C, Riboflavin, Niacin, Calcium, Iron, Magnesium, Phosphorus, Potassium, Copper and Manganese. That sure is something to cheer about. 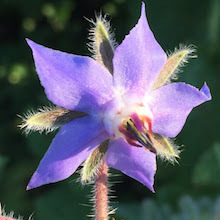 I have been reading that contemporary European herbalists still use borage as a anti-inflammatory and to restore strength during convalescence. It is also used as an adrenal tonic. To make borage tea, bruise a leaf of two and place in a mug. 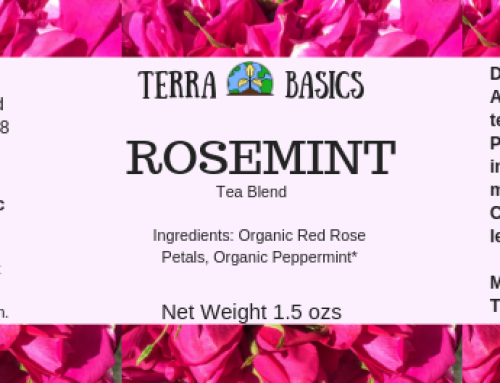 Add hot water and let steep for 3-5 minutes and enjoy a relaxing, refreshing and delicious tea. It doesn’t get any simpler for tea. Whether it is courage, gladness or cheerfulness, borage will always have a place in my gardens. It is a herb that can provide both, delicious food and beauty. Borage flowers are mainly known as an attractive edible garnish. Added to any garden or fruit salad to taste they perk it up with their lovely blue stars. Young finely chopped borage leaves may be added to any green salad, but do not add too much because of their hairy texture. Borage is especially good cooked with beans, peas and mix with other cooking greens. When cooked the hairy texture disappears. Wash young borage leaves and remove stalks if desired. Chop greens. Mince a clove of garlic. Cook in a little butter in a covered saucepan over a very low heat. Season to taste with salt and pepper. The dampness of the washed leaves should be enough to keep them from sticking to the bottom; they will soon be tender and their hairy texture disappears when cooked. 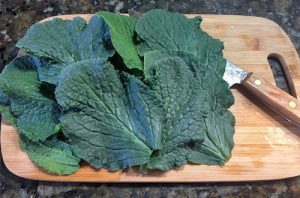 Combine the borage leaves with cabbage, chard, spinach or other cooking green, using about one-third borage leaves to two-thirds cabbage or spinach and cook in the same way. Mix until thoroughly combined. Enjoy on crackers or toast. Don’t forget to garnish with the lovely blue/pink star flowers.